Carrying on from last night, Sharon seems to put almost everyone through but, of course, will have to throw some out. Lorna was a stand-out tonight with I Wanna Dance With Somebody with people on their feet afterwards. She takes Sabrina's place and there'll be another swap to come. Emotion time as Mrs Devlin is also selected and, after a lot of strange moving around by Joe, she gets Katie's place. Now it's Gary and the Groups. First Brick City get through with an average performance. Then we learn that Rough Copy have a problem - one of them has a visa issue and has to withdraw. Surely this is what happened last year? Am I watching some time-shifted programme or what? This is really weird. Anyway, the two remaining carry on and they get through too. I have no idea what happens to the other guy who was watching in the wings. Just what is it with these three and visas? Kingsland were not so good but carry on through anyway as they have lots of audience appeal and should get a good few votes in future. Code 4 are good and add to their impact with some classy dance moves. The new girl group Stop, Look & Listen seemed way off key for me and I have to wonder whether the TV was broadcasting something different to what people there heard. They take the place of the big band of oldies who were pretty solid and very talented but they may not really suit the programme. Next of Kin were not up to the same standard as they have been before in this competition and didin't make one of the six chairs. Louis and the Boys. Sounds a bit wrong but there you go. Paul Callahan is great and straight in. We should see a lot more of him. Louis loves Paul who did a rather heavy-handed version of I'd Rather Go Blind. The yodelling Barclay ruined Respect and was duly sent home. 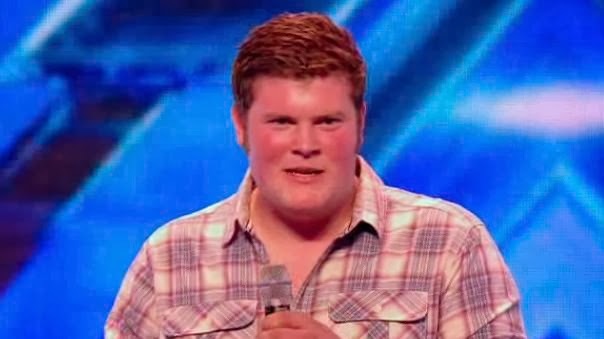 His voice was actually very good but I reckon all the compliments he'd had from people about the yodelling stuff must have made him think that's what the judges wanted. Louis can like the weird and wonderful we know but that was a step too far. Ryan Mathie and his red face and Luke are through after average performances. Giles looks better than he used to. Nice track. Pretty composed and string, clear voice. He's safe. Nicholas doesn't start off so well but gets a bit better as he goes on. It's enough to get him in and to take Alejandro's place which will upset a lot of girls as the guy's seriously good-looking. Boot Camp. Girls and some Overs in the Top 24. Louis gets the Boys. Sharon gets the Overs. Gary gets the Groups. Nicole gets the girls. She's happy. Dermot welcomes us to Boot Camp, well, in Dermot voiceover form, that is. This is always an emotional time and the producers lay it on pretty thick from the start. In fact the first ad break kinda hits you just as Stephanie was tearfully walking away and both Nicole and Sharon were looking as if they were about to burst out crying as well. We didn't get to hear more than a bar or two so have no idea how those, like Amy Mottram and Melanie McCabe who did get through compared to those who didn't. In previous years this has been a disastrous round with people put in groups and told to do stuff at short notice and that has certainly messed up the chances of some potentially good contestants. I'm hoping the new format will be a bit fairer and less annoying to watch too. That on stage selection, I guess, was to sort out the 100 or so down to 50 and now we get to putting people on 1 of 6 chairs to make a final 24. An ad for the Fifth Judge App. Wish that worked on something other than a phone or Android tablet. Karen is first girl to make the Top 6 but she could be kicked off again later if there are better. Lydia has a great 'Essex' personality but doesn't sound so good to me. She tries hard and the crowd seem really to go for her. I'd still say no. Nicole lives for a bit longer. Hannah Sheares is one of my favourites. Doing River Deep Mountain High almost acapella was brave and I thought it worked but Nicole didn't. Now that's interesting as anyone who looked at my spoiler Top 24 would have seen the name 'Hannah' there and I thought it was her. Is there another Hannah? Or will there be some drama later? Surely not - doesn't make much sense. Siana something fails on the vocals. Crissie Rhodes goes. She'd been good so far. Jade Rendle neither looked nor sounded the part. Nicole goes and tells the remaining girls to grow some balls. I'm not sure they all understood that (or could). Temera Foster is next. She'd better get it right this time, says Louis. I think we can rely on her to do well. She is one of those girls who looks completely different every day. She is very original and starts the Rihanna track in what was as close to being off key, off beat, off everything and yet, somehow, she brings it round and has some star quality about her. I can imagine she'll be hell to manage and may annoy us with some tracks later in the series. Oh, yes, she'll be around for a while yet. Relley C is next. Dermot says she's 26 so the Overs must be over 28s. She makes the top 6 but we don't hear why. She does seem more Overs than Girls but never mind. Jade Richards is back again. She's a big girl and puts a lot of passion into her singing. Takes a seat and may have the chance she needs. Sheena McHugh plays guitar and sounds cool. Better than both of the first two Nicole gave a seat to. Again I disagree with Nicole's choice. I feel she'd painted herself into a corner in this format. Wow. Nicole changes her mind. That was the right move. She can still change her mind. So there are six full seats. Some real talent - two potential winners in my book! - to come. I am fascinated to discover who the missing 'Hannah' is. Could it, indeed, be a misheard or badly scribbled 'Sheena' after all?! I would ask the spy if I knew who it was. It all adds to the comparative excitement. This is a bit like Judge's House round. Far better than it was before. Ah, this is Hannah. I don't remember her. Something odd about her mouth or make-up. She is not easy viewing at all. But she can sure sing and she'll definitely get one of those six seats. Looks like Sheena, Karen and Lydia will ahve to make way for this Hannah and a couple more. Abi. She's cute and this will be emotional but she can be relied upon to perform. 'She's so good!' whispers Melanie McCabe to herself. That was brilliant. See the video here (Until it apears on YouTube). Nicole is pretty good at deciding, not helped much by the others. I can imagine some previous judges struggling with this and wonder just how well the others will do. I guess they will decide their top 6 beforehand and play the rest by ear on the night. For all we know this may well be exactly what Nicole has done as well! Last but not by any means least is my own equal favourite with Abi; Melanie McCabe. She is quite the opposite to Hannah in most respects. Pretty, slender, gentle-looking and with a delicate touch to her singing. She didn't do that good a job of The One That Got Away but may have done enough to pull through. She takes Karen's spot. I think it should have been Amy but they've got to be whittled down to three in a while anyway. Now it's the Overs turn. Sam Bailey is the rough and ready woman who kicked off the series this year. She is excellent and I would say a sure-fire Live Show entry. With her version of Clown I didn't see anything original but she seems to appeal to people generally and is one of not many Sharon can choose from. Souli Roots looks fun but no Maloney time this year. Jayson Newland sounded good but has his public behaviour already ruined his chances. He gets sent home. Wow. Straight away. Wasn't expecting that. Good decision, though. Well done, Sharon. Sabrina is quite impressive - better than the young Hannah that went through. She gets a seat. I get the feeling Sharon has made up her mind already. Joe Whelan has to be though this year after all the kid stuff and emotions so far. He's also pretty good and a nice change. Bit over the top on his singing characteristics but they may be able to train some of that out of him. That's as far as the show goes tonight. More tomorrow! So that's a wrap for auditions for this year. That seemed to be over quickly. I am sure these were stretched out across more weeks in the past with both lots of idiot auditions and more full length airings of the decent too. I suppose that it's also possible that fewer people are applying in the first place and the numbers generally are down but the size of crowds in the hot summer queues around the country looked as big as any year and that needn't impact upon how many are shown in these run-up programmes. A load more also were put through to Bootcamp but I suspect that that is as far as they will go. Of the acts I've picked out above, the ones I see doing well, Ryan Mathie made the biggest impact with a cool version of the now song Get Lucky. Giles Potter messed up badly but the judges must have seen something during earlier auditions and appeared almost before he'd finished to be putting him through anyway. Sam Callahan is the cute boy this year and Joe Whelan the dad with muscles and tatoos who will appeal to whoever doesn't like the cute Sam. Zoe Devlin isn't, as far as I'm aware, Janet's sister. She has a curious stage presence and an appealing style. How that will translate to a range of material and how she'll cope with live shows I'm not sure. There is another quirky girl who is likely to get The Quirky One space this year. Hannah Sheares is very, very pretty. She's the one who was picked out of The Daisy Chains. Nervous and not really any competition for the likes of Melanie McCabe, I feel. Code 4 and Brick City are a couple of fairly bland groups in terms of what they've shown us so far. However, both are competent and should be in with a chance once they get more airtime. They do have to cope with the uber-confident Rough Copy, though. 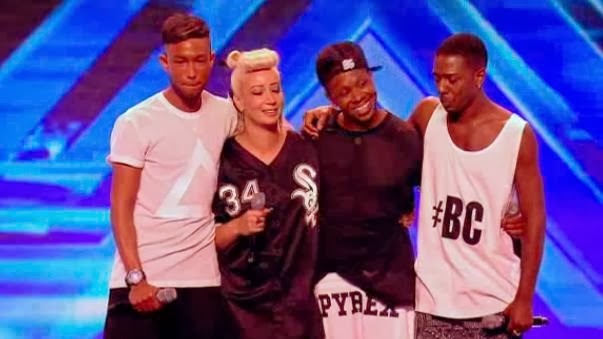 Hopefully next week we should have a clear picture of just who makes it through to Judges' Houses and that's when it really starts to get interesting. This week may see the end of the impressively massive mouth of Jason Newland. That massive mouth may have got him in trouble as some of his tweets have got into the public arena. They were there anyway but once you get on programmes like X Factor you need to be prepared for everything you've ever published or done to be in the papers before long. Seems like he's a rude and nasty bit of work with a violent temper that he may not always be able to control. Despite that all being in the past, I don't see him surviving that. No biggie, to be honest, apart from that mouth. Week 4 - the last of the Room Auditions. The last week of Room Auditions and we see Sam and Ryan through for the boys with some good performances. 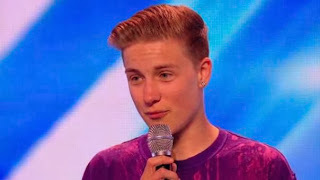 (Ryan is only shown on Xtra Factor). Only one of The Daisy Chains gets a chance to perform but I don't think we'll be seeing much more of any of them. A truly annoying performance by Green Boots goes on for far too long and is just shown for some misguided entertainment. Duplex - two girls in the video but I missed them on stage. Obviously nothing to worry about there then. 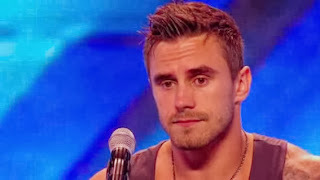 Joseph Whelan is good, plays guitar and does Steven Tyler impressions. I know he'll appeal to lots of people and can certainly sing well and has a great personality. But how 'today' is he? I don't know. I can see him being included in the Live Shows because he'll be good tv. The little kid may well get to sit on Nicole's knee too. It's all a bit staged for my liking but good luck to him. 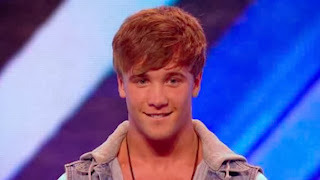 He made it through to Judges' Houses last year and so is bound to get there again. Some Chinese guy called Justin actually gets through. Oh dear. Two more interesting acts are Jason Newland and Andrea Magee. We only get a bit of each but that's enough to make them stand out in my book. I would predict good things for both. Jason has the most enormous mouth and an amazing voice. He could do with some training, though, whereas Andrea is ready to go. They'll both be interesting to look out for. Also through to perform on the big stage (but hopefully that'll be the end of the road for them) is a group called Nostalgics who are all ancient and sing things like Bring Me Sunshine. What programme is this? Lorna Simpson does a presentable job and hits all the right notes in a tricky Whitney song. However good she sounds, though, I wonder why she didn't seem that memorable compared to some others. Can she repeat that on stage tomorrow and show something special? We haven't yet seen many potential boy finalists. This fellow could be one. Confident and in tune, comes across well and may surprise people with what he can produce on the bigger stage. The name Kingsland doesn't quite gel for some reason but these five can all sing and seem to have made some effort to rehearse their chance to get somewhere. Pretty good although I am not sure they're sufficiently different with 1D and UnionJ out there as well as a host of others. Interesting group with a different sound - strong female lead and well in tune. 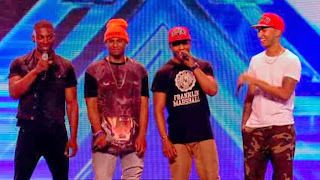 These are the guys who were prevented from taking a Judges' Houses round place due to visa problems for one of them. They were good last year and you get the impression that they didn't even think it was worth bothering too much as they'd be put through anyway at this stage. They are clearly talented and, from little we heard, they can sing and they can certainly entertain. Their first test will be on stage. I reckon they'll be fine. Cute girl who didn't do much at all but there was a voice there and a great personality that is very much 'today'. I was surprised she got through and suspect that Louis sees her in a manufactured girl group. As a soloist, I don't see her proceeding far, however pretty she looks. This kinda sets the scene for how old the series is - and Sharon Osbourne for that matter. 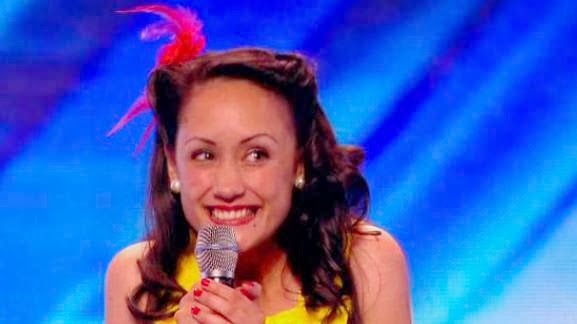 Stephanie auditioned in 2007 at the age of 14 and got all the way to Judges' Houses, with Sharon shown as very sad to let her go. Since then she tells us she has been in the Canary Is and is a professional singer there somewhere. She's good and through. This group did make the Top 20 many years ago when some company thought they might take on Hanson. It is unusual for this programme to give second chances to people who have already had decent contracts but it looks like they've got one. They sing brilliantly and certainly impressed the judges with all four standing up which is something I don't recall happening in these room-style acapello auditions. The competition amongst groups is looking hot, though, and these guys, however good, and however much they move Nicole to tears, are a bit dated. If I were Louis, I'd sign them up now and start recording and get an album out for Christmas. It would sell, I'm sure. As for their chances on the X Factor, I'm not so sure, and that could be a sad moment when hopes have been raised so high so soon. Shelley's a white van driver and put on a powerful version of Feeling Good to get a place at Bootcamp. 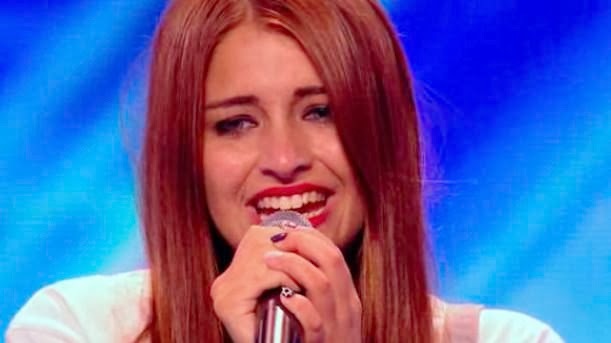 Jade Richards narrowly missed getting through in a previous year. She wasn't looking so good in the small room but on the bigger stage she looked much better and performed an Amy number, earthy and moody. The Dolly Rockers were fun and together. The judges must know about some pretty damn spectacular groups out there already in order to turn them down and not even grant a Bootcamp slot to these three girls. Have to smile at Dermot's expression as Barclay the yodeller gets through to Bootcamp. Five girls performed I Don't Care extremely politely, probably not helped in viewers' eyes by shots backstage of one of the mothers dancing around as if it was her favourite track. It just didn't work, which was a shame as they were attractive and could sing and dance and, with some attention, were at least as competent as whatever first constituted Little Mix had been. This girl is the one that really gets the audience on their feet. She took a chance by performing something she'd written herself. Interestingly, the Xtra Factor shows her doing a second track that the main show viewers will know nothing about. The first week of X Factor UK did seem to be full of filler, only slightly relieved by the madness of the Xtra Factor afterwards. In amongst the ridiculous and the less than laughable, however were some acts which we should see more of. Abi Alton - excellent and different. Melanie McCabe has been here three times before! Reaching Judges' Houses before too. She made Louis cry, genuine emotion, and Dermot O'Leary seemed to know her mother pretty well by now. This was a superb audition. I have a feeling she'll make the Live shows this year.